I first reviewed Alliance in Motion Global back in 2013. The company claims to have launched around 2006 and is based out of the Philippines. Management wise Eduardo Cabantog still runs the company as CEO and “Visionary President”. About a week ago a BehindMLM reader informed me that there’d been some changes to Alliance in Motion Global’s compensation plan. Seeing as we hadn’t revisited our review since 2013, I felt it was time for an update. When I reviewed Alliance in Motion Global in 2013, the “products” section of their website was broken. In 2018 that’s still the case. When I click “products” on the Alliance in Motion Global website I’m taken to a page titled “AIM E-Store”. There’s nothing on the page except a button labeled “latest offers”. When I click that, nothing happens. So uh, five years and still a broken products page? Rightio. New Alliance in Motion Global affiliates sign up and pay ₱12,980 PHP ($252.46 USD) for a “Global Package”. Commissions are then paid when they recruit others who do the same. Each Alliance in Motion Global Package comes with an assortment of products (exact products are not disclosed on the company website). If an Alliance in Motion Global affiliate opts to resell products they’ve purchased, they receive the difference between the price paid and the resale value. True retail doesn’t appear possible within Alliance in Motion Global. Alliance in Motion Global affiliates are paid ₱1000 PHP per affiliate recruited ($19.45 USD). For each newly recruited affiliate matched on both sides of the binary team (one ₱12,980 position on both sides of the binary team), a ₱2000 PHP ($38.90 USD) residual commission is paid out. Residual commissions are capped at sixteen matches daily (₱32,000 PHP or $622.40 USD). Note that Alliance in Global permit each affiliate to purchase up to seven positions in their binary team. Alliance in Motion Global cap payable unilevel levels at ten, with commissions paid out when recruited affiliates across these ten levels purchase Alliance in Motion Global products. Note that these are coded bonuses, with a maximum of 40% paid out on unilevel team volume. Higher ranked affiliates are able to earn the difference between their rank and lower ranks of their downlines, up until the complete 40% has been paid out on generated volume. Just a note on rank qualification, the Alliance in Motion compensation plan ties rank advancement to “positional points”. The plan doesn’t state what positional points are, so I’ve not provided rank qualification criteria. Every fifth binary team commission paid out generates “travel points”. The Alliance in Motion Global compensation plan states travel points can be used toward “free travel incentives”. Alliance in Motion Global affiliate membership is tied to the purchase of a ₱12,980 PHP Global Package ($252.46 USD). Maximizing income earnings requires an Alliance in Motion Global affiliate to purchase seven Global Packages (₱90,860 PHP or $1763.73 USD). Although the payouts have slightly changed, Alliance in Motion Global is still very much a recruitment driven MLM opportunity. Retail is a joke, as evidenced by Alliance in Motion still not fixing their website product page after five years. Even affiliates have no idea what they’re getting, as the Global Package page is also broken (images are 404). The core of Alliance in Motion Global’s business is the purchase of ₱12,980 PHP positions and recruiting others who do the same. Residual commissions are generated when recruited affiliates reorder products each month. As long as you grow your group and as long as your downlines are using the products and buying the products, you can earn a unilevel commission. The onus isn’t so much on the products and a genuine need for them by the affiliates purchasing them. You get the full value of your money, since you get products more than you have invested. How do you get your investment back? By recruiting others who also make investments. When affiliates are required to purchase products they may or may not need, the products themselves become irrelevant. Money is being paid by affiliates to qualify for commissions, which as we saw in the FTC’s take-down of Vemma and Herbalife, is illegal. In summary, Alliance in Motion Global is a classic product-based pyramid scheme. I mean really, is there any other reason to have affiliates purchase seven positions in the compensation plan other than to encourage inventory-loading and generate commission volume? 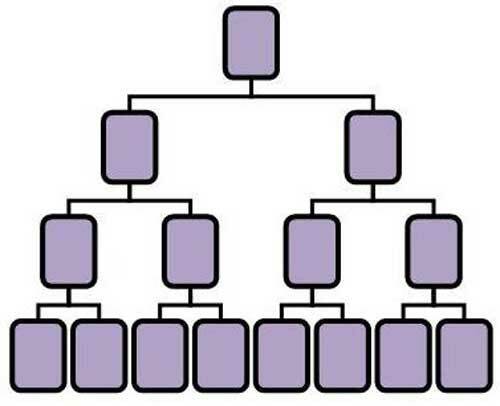 Like all pyramid schemes, once affiliate recruitment dies off, there’s little incentive for those at the bottom of the pyramid to continue to pay fees each month. They stop paying their fees, those above them stop paying their fees and before you know it the whole system has collapsed. Unfortunately for Alliance in Motion Global affiliates, the largest group of participants in pyramid schemes is always those at the bottom hoping to recoup their losses. When a pyramid scheme like Alliance in Motion Global collapses, these affiliates ultimately lose out. Purchasing 7 position is the most stupid i’ve ever seen in a compensation plan. Too bad for the Filipino community as most of them don’t understand real business opportunity and Pyramid Scam. If you click through, it’s possible to find some AIM products, but it should be mentioned it can be expected the products have no real value, it’s not mentioned what the ingredients are, there’s nowhere any proof of effectiveness. Maybe it’s better to drink a bottle of Tanduay (local rhum in The Philippines, made by San Miguel corporation) then to buy and take any AIM product, it will be cheaper. I found a website for Aimworld which I assume is the same thing. The main products are a sachet of something or other – the site didn’t mention any ingredients – that you empty into a locket attached to a necklace which when worn protects the user from viruses and bacteria. The starter kit with ‘free necklace’ was priced at $140. You’d have to be extremely gullible to think that you could make a successful business out of selling these ridiculous products. The main products are a sachet of something or other … you empty into a locket attached to a necklace which when worn protects the user from viruses and bacteria. Lol, sounds like something you’d get in a 20c $140 gumball machine. Their most popular product, the C-24/7 is a food supplement and yet they keep on having people testifying to have been cured from even the most incurable illness on earth! If this is true, then why not present this alleged miracle drug to research teams all over the world who are trying to find an answer to all these illnesses?! If they really want to help like what they are saying.